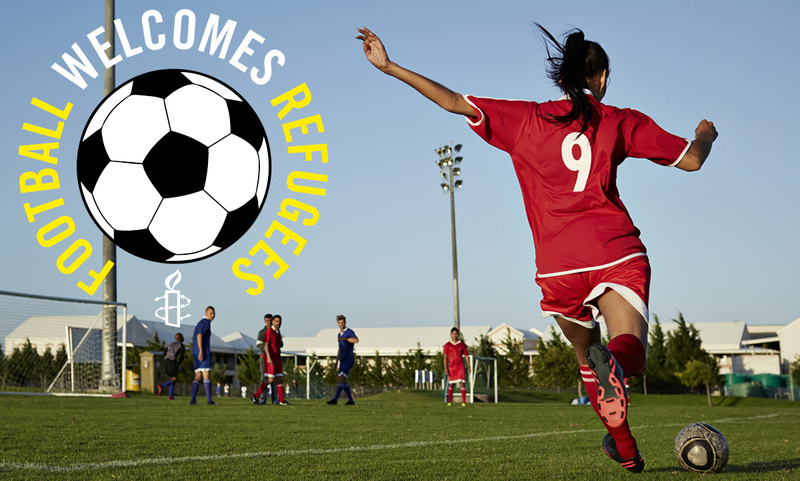 Over the weekend of 27-28 April, football clubs across the country will lay aside rivalries and come together to celebrate the contribution refugee players have made, and continue to make, to the beautiful game. From the children fleeing the Spanish Civil War in the 1930s who went on to become some of the first refugees to play professionally here, to the likes of Granit Xhaka, Nadia Nadim and Victor Moses in more recent years, refugee players have been making their mark on football for decades. Over the weekend, clubs from the Premier League and Women’s Super League to grassroots teams across the country will put on events and activities to welcome refugees and people seeking asylum in their communities. Some will be offering free tickets to a game and some will organise a match or tournament or arrange a stadium tour, among other activities. Football clubs are at the heart of many of our communities, where people come together, on and off the pitch, over a shared passion for the beautiful game. Playing football, and taking part in sport more generally, can not only be good for physical and mental health, but can also give people a sense of belonging and purpose. Last year, 60 clubs participated in the Football Welcomes weekend, including over half the Premier League and teams from the FA Women’s Super League, English Football League and Scottish Premiership, as well as non-league and grassroots teams across the country. Meanwhile, in Norfolk, 61 local schools and nearly 20,000 children participated in ‘Norfolk Welcomes – Football Welcomes’, when normal lessons were suspended and the children spent the day learning about migration to East Anglia and the role that football can play in welcoming refugees. Footballers Mario Vrančić, Anita Asante and Steven Pienaar joined celebrity football fans Keira Knightley, Dame Judi Dench, Kaiser Chiefs, Stephen Fry, Patrick Stewart, Ken Loach, Jordan Stephens and Juliet Stevenson in backing the initiative. By putting on events and activities for refugees and people seeking asylum living nearby football clubs are saying loud and clear that refugees are welcome in the UK. Football Welcomes 2019 is set to be the biggest yet. Want to get your local football club involved? Find out how here. Take Action / The stroke of a pen could reunite refugee families forced apart. Act now.